Austrian violoncellist; born at Prague June 18, 1845; a pupil of Goltermann at the Conservatorium in that city. At the age of eighteen he made a tour through Germany, and was at once acknowledged to be one of the leading cellists of his time. 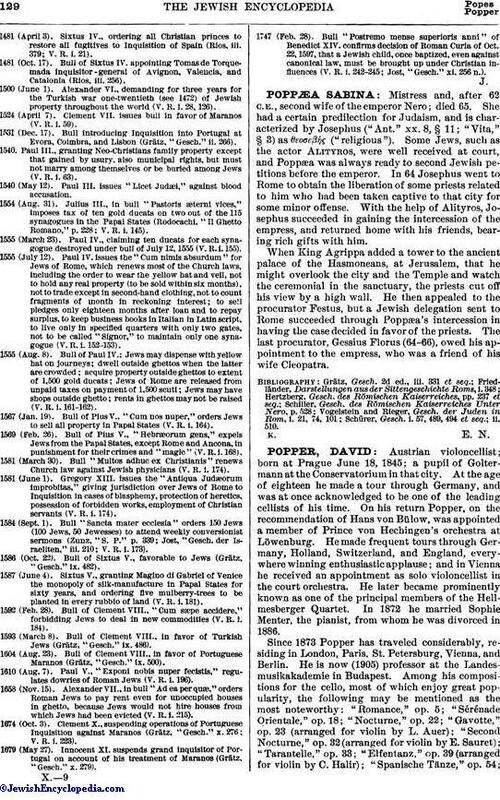 On his return Popper, on the recommendation of Hans von Bülow, was appointed a member of Prince von Hechingen's orchestra at Löwenburg. He made frequent tours through Germany, Holland, Switzerland, and England, everywhere winning enthusiastic applause; and in Vienna he received an appointment as solo violoncellist in the court orchestra. He later became prominently known as one of the principal members of the Hellmesberger Quartet. In 1872 he married Sophie Menter, the pianist, from whom he was divorced in 1886. 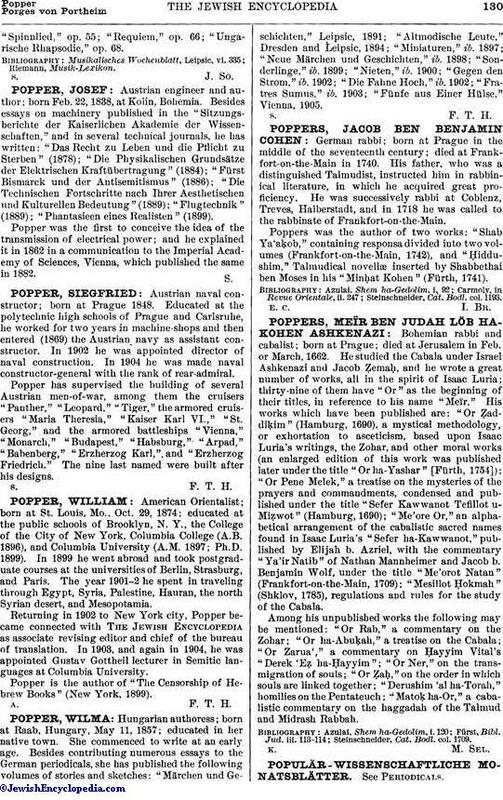 Since 1873 Popper has traveled considerably, residing in London, Paris, St. Petersburg, Vienna, and Berlin. He is now (1905) professor at the Landesmusikakademie in Budapest. Among his compositions for the cello, most of which enjoy great popularity, the following may be mentioned as the most noteworthy: "Romance," op. 5; "Sérénade Orientale," op. 18; "Nocturne," op. 22; "Gavotte," op. 23 (arranged for violin by L. Auer): "Second Nocturne," op. 32 (arranged for violin by E. Sauret); "Tarantelle," op. 33; "Elfenianz," op. 39 (arranged for violin by C. Halir); "Spanische Tänze," op. 54;"Spinnlied," op. 55; "Requiem," op. 66; "Ungarische Rhapsodie," op. 68.